Camp Amy Molson is a residential camp for Montreal children, aged 5 to 14 years old. Camp Amy Molson offers 3 sessions of 15 days each. The staff-to-camper ratio is better than one to three, so that all the youngsters are guaranteed very personal care. There is an exciting program of activities, especially created to capture the imagination of young children. The campers learn to play on the peaceful 180-acre lakeside site…a far cry from noisy, steamy pavements. In general, there are 6 campers assigned to a cabin with a counselor and a junior staff member. Our mission is to provide underprivileged children with a happy, outdoor holiday where campers can build self-esteem, develop positive relationships and learn valuable life skills in a context that promotes group learning and nurtures each child individually. 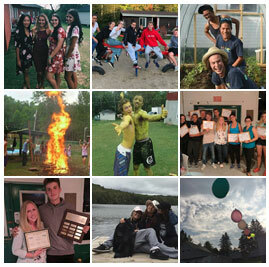 Summer at Camp Amy Molson is an extremely rewarding experience, for both children and staff! Camp Amy Molson is a residential camp for young children living in the Montreal area. 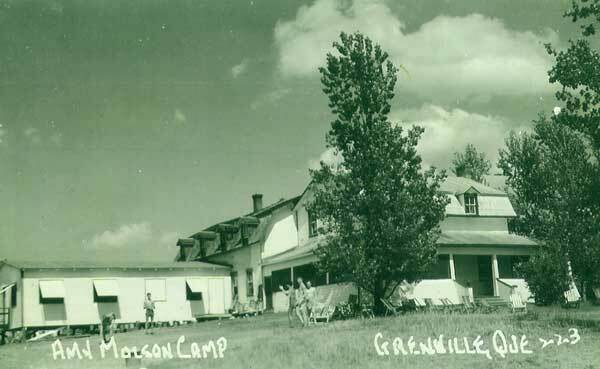 It was founded on May 23, 1944 when the Ladies Benevolent Society bought the old farm house (the office/infirmary) with a legacy left by Amy Molson. During our first summer of operation, there were 58 campers and five counselors, each of whom earned 20 cents a week. All of the children who attended the camp came from foster homes or orphanages in Montreal and they were expected to help with the maintenance of the camp, performing such chores as cleaning and assisting in the building of new facilities. From our humble beginning, we have grown into a camp with facilities for over 150 children and 70 staff. Camp Amy Molson is a residential camp in Quebec for children ages 5 – 14, and our program is tailor-made for the special needs of this age group. 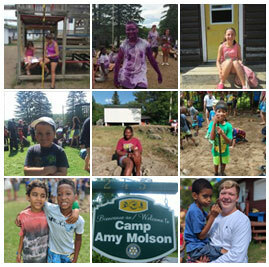 Camp Amy Molson endeavors to provide personalized care to all our campers. Through individualized programs, the camp tries to meet the physical, emotional, and social needs of each child. This is best achieved through a philosophy of participation and cooperative camping. The acquisition of camping skills is secondary to the appreciation for and respect of others and self. Camp Amy Molson has an “open” policy to campers. We enthusiastically accept children from all ethnic and linguistic backgrounds and home environments. Our staff embodies high standards of personal integrity, responsibility and maturity. Camp Amy Molson is an affordable sleepaway camp for Montreal children, aged 5 to 14 years old. Camp Amy Molson offers 3 sessions of 15 days each.